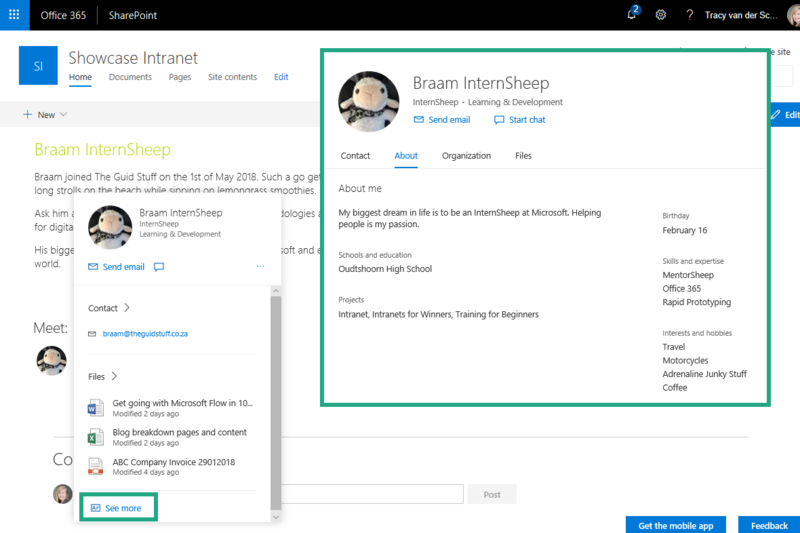 #Microsoft365 #Office365 #SharePoint I like to think of the employees in a company as the most important assets. Let’s take a look at the People Web Part, used to highlight your employees. “Employees don’t leave companies, they leave managers. Every day around the globe, valuable assets walk out through the gates. It’s my job as CEO to make them want to come back.” Jim Goodnight – CEO, SAS. DISCLAIMER: I WRITE ARTICLES ABOUT OFFICE / MICROSOFT 365. CONTENT IS ACCURATE AT TIME OF PUBLICATION, HOWEVER UPDATES AND NEW ADDITIONS HAPPEN DAILY WHICH COULD CHANGE THE ACCURACY OR RELEVANCE. PLEASE KEEP THIS IN MIND WHEN USING MY BLOGS AS GUIDELINES. The People web part allows you to display a selected group of people and their profiles on your page. It can be used for contact information, team information, presenters, and more. Use the People web part. 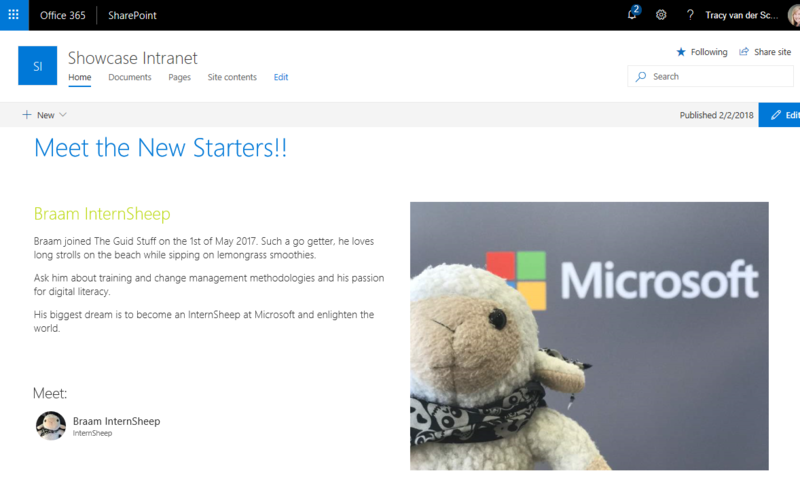 Purpose of this blog challenge: I will write 365 blogs in 365 days around Microsoft 365. 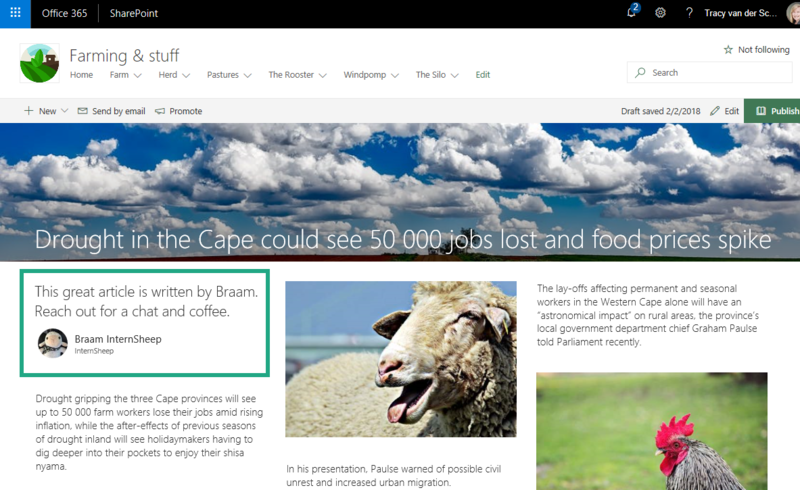 I did a similar challenge with Office 365, blogs can be found here. I won’t just be talking about the new Microsoft 365 subscription model. I will be sharing any news, tips and tricks around Office / Office 365 / Windows / Mobility and Security. And let’s not forget all the great new Apps & services available. 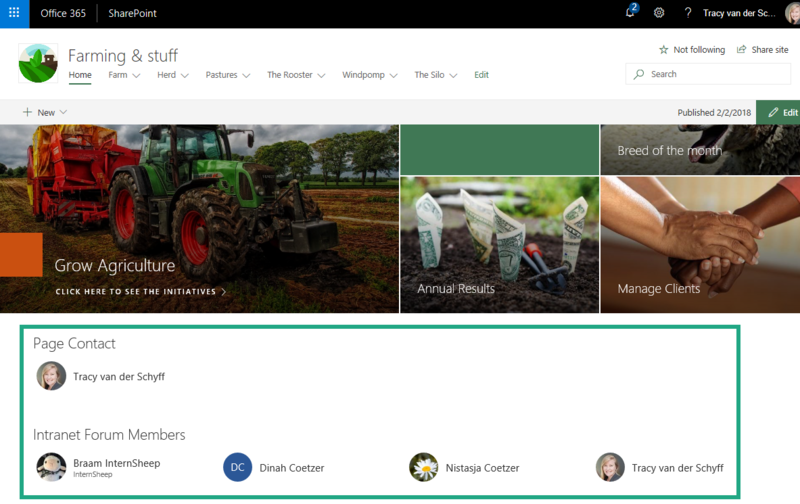 A lot of what I’ll share on Office and SharePoint will also be applicable to none “Office 365” versions.